للمسافرين الذين يرغبون أن يعيشو كل ما تقدمه جولد كوست, Sea World Resort & Water Park هو الخيار الأمثل. يقع مركز المدينة المثير على بعد 6 km فقط. يضفي محيط الفندق اللطيف وقربه من سي وورلد, ماين, Peter's Fish Market سحراً خاصاً على هذا الفندق. إن Sea World Resort & Water Park حريص على توفير الراحة للنزلاء، فلا يوفر الموظفون جهداً في تقديم أفضل الخدمات وضمان حسن الاستقبال. لضمان راحة ضيوفه، يقدم الفندق الخدمات التالية: واي فاي مجاني في جميع الغرف, متجر هدايا/تذكارات, خدمة غسيل ذاتية, مجهز لذوي الإحتياجات الخاصة, مكتب الاستقبال على مدار الساعة . ادخل إلى واحدة من الغرف 405 وتخلص من عناء نهار طويل بمساعدة مجموعة كبيرة من الخدمات كمثل تلفزيون بشاشة مسطحة, اتصال لاسلكي بشبكة الإنترنت (مجاني), غرف لغير المدخنين, مكيف هواء, مكتب الموجودة في بعض الغرف. يقدم الفندق العديد من الفرص للاستجمام كمثل حوض استحمام ساخن, مركز للياقة البدنية, ساونا, حمام ينبوع ساخن, مسار جولف - ضمن 3 كم. يشكل Sea World Resort & Water Park بخدماته الراقية وموقعه الممتاز، قاعدة مثالية للاستمتاع بإقامتك في جولد كوست. We planned a 4 days 3 nights stay to celebrate our sons birthday. On the first night of our stay the power went off just before midnight. We tried sleeping it off hoping it will just come back soon. No power until morning gave us a very hot and sleepless night. The power went back the next day but no AC in the rooms. Some rooms AC were back but unforunately our room was one of those whose AC unit got broken. We had to push hard before the manager looked for a room with AC working. It wasnt until 11pm that we got moved considering we had a 6yrs old who was tired the whole day at the theme park for his birthday. The management was effortless in resolving the issue if I didnt almost create a scene we could have had a 2night sleepless one. We checked out in the morning and asked for a refund for the 3rd night. Awful stay. The room given on the 2night was even smaller than the one we first stayed on. So not worth it. 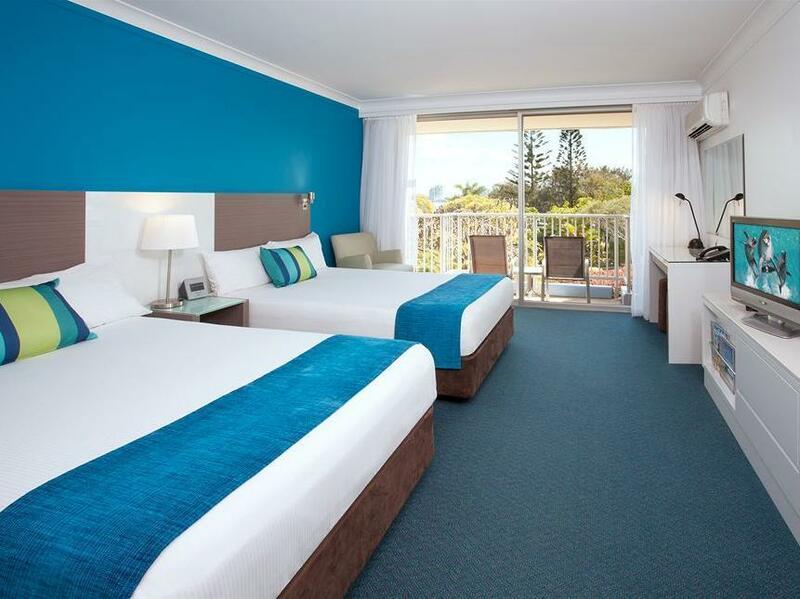 Look for rooms in Surfer’s Paradise area and get something worth money. Kids love the splash park, there was a dead cockroach that wasnt removed when cleaned and was trasferred 3 times to find out splash park hours, which staff members should know I would think. Apart from that always enjoy staying here. We all had a blast and truly enjoyed ourselves-heaps to do within the hotel. Lovely brekkie with lots of available choices to choose from. We were also surprised that they offer a ‘free’ dolphin show for hotel guests. Although a bit dated, we all had an excellent time- my eldest loved the restaurants and my youngest loved the pool and souvenir shop! Hubby and I loved that relaxing vibe!! We enjoyed our stay here. The rooms were more like Asian hotel rooms - comfortable with nice towels and beds. Room was adequately sized for 3 persons. Food options were expensive. The ongoing renovation was noisy but tolerable. 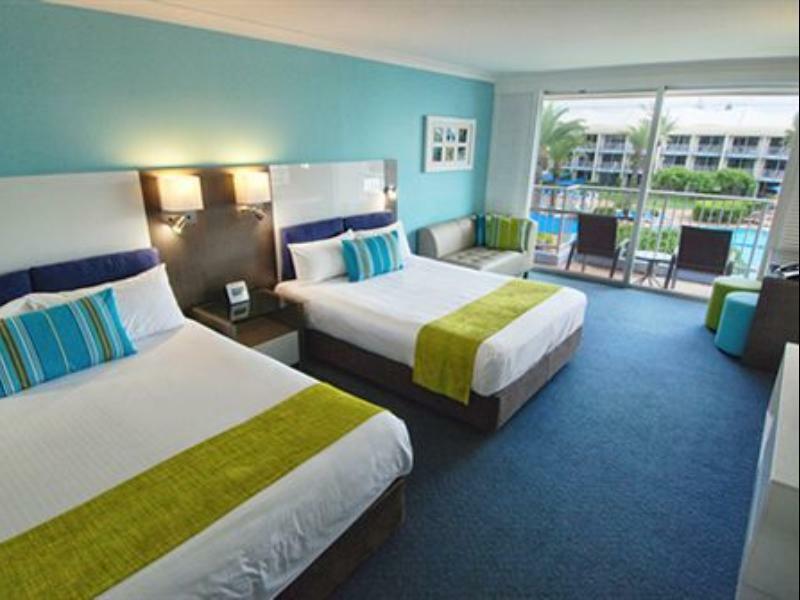 Sea world waterpark is the most visited hotel in gold coast because sea world resort is connected to the sea world and so many attraction in sea world. 2days is not enough to ride or see all the attraction in sea world. Many facilities in that hotel. Great hotel ! The car park was full when we arrived and had to walk 20 minutes to the Resort. Doesn't seem to be much organisation or courtesy. The staff were fantastic with what they can help with. The bathrooms could use renovations, very old, but still kept clean as far as I can tell. The rooms were OK, I feel the hotel is doing their best to keep the place up to high standards, but of course the age will definitely show still. The location is far from public facilities, if you wanna go to seaworld only and enjoy the hotel this is the perfect place, children will love the waterpark. For me this hotel is far from other public facilities such as convenience store, restaurant, room service menu is not so many variation. Really enjoyed our short stay here. Rooms were very clean & beds were comfy. Staff were very friendly & happy. The resort had beautifully manicured lawns & gardens. The children's water playground was fantastic. Two for one offer on our brekkie. Room price was good. We will definitely stay here again. We very extremely happy with our decision to stay at Sea World Resort instead of paying the exorbitant price at Versace. The resort very accessible with the bonus of free pass to Sea World the next day which we really enjoyed and the room was ideal for our requirements. Consider next booking at seeworld self ,pay $30 more u get bottle wine welcom pakket, 2nd person breakfast free, ask for early check in cuz our room was not ready till 3pm, so that's bad value if check out at 10am. however cleanest room I have seen in GC ,Mantra is filthy compair to this, we 'll return. Location is good as you can walk to sea world, however, I can't believe that they even charge for bottle of water, i have never been to a hotel that charge for bottle of water. No towel provided on first arrival, only after we have got the extra towel from the pool then we got towel in the bathroom. The exhausted fan never worked in the bathroom. 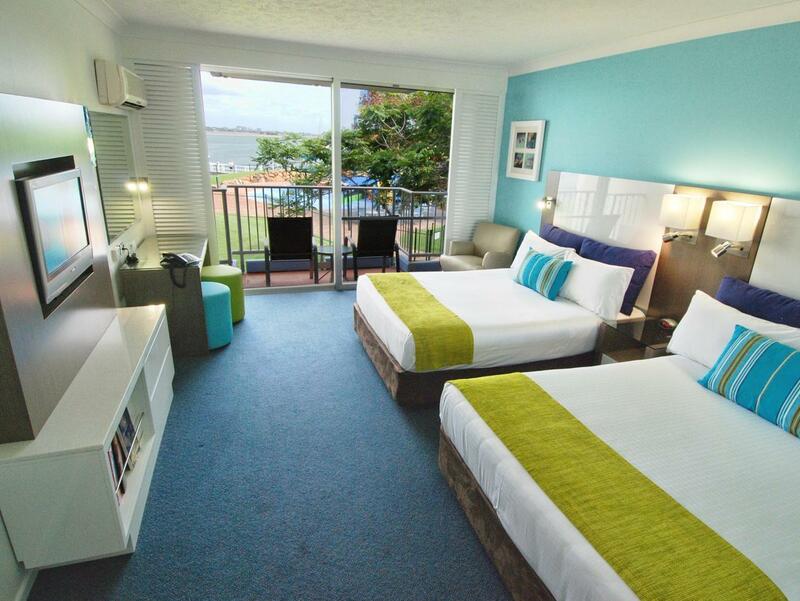 Good value when you want a good hotel with theme park entry to Sea World and Movie World. Hotel is nice and clean. Free parking. Food is alright, but nothing spectacular. Overall, a good stay and the kid enjoy the theme parks. We loved it! Room was well presented & clean throughout. The location was great with access to Seaworld. Swimming pool area was great for the kids. Lovely family holiday. The only cons were we noticed that some facilities were closed (perhaps due to it being winter?) Such as pool side cafe & monorail. Still we'd definitely stay there again. The reception employees are absolutely delightful, one in particular who has just gone on maternity leave. I stayed there on the Wednesday night and booked in again Sunday night because I enjoyed my stay so much. Will definitely be back. 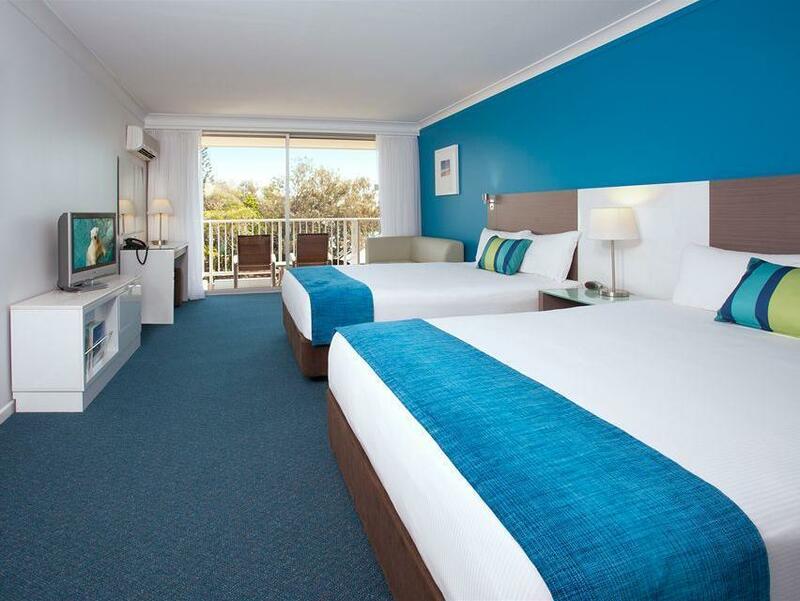 Rooms are very tidy (I'm a neat freak) Staff are friendly Location is brilliant and lots of parks and so close to the beach !! Had a wonderful time. Able to take the kids to the pool, drop at kids club for a bit of me time, and was easy access to sea world which we could access when we wanted during park hours. Friendly staff and good family resort. We took our daughter and grandson (2 and half years old) for a three day stay at Sea World. We did not move out of the resort and enjoyed every minute of our stay. Staff were exceptionally friendly, nothing was too much trouble, facilities were good and pricing of meals in restaurants reasonably priced. We enjoyed the piano playing and singing in the background while we were enjoying our nightly meal and felt comfortable to take a young child into this area. The Sponge Bob night spectacular was fantastic. We also enjoyed being able to go into Sea World on our pass at anytime (within hours set) as we could bring our young grandson back for a sleep and return later in the afternoon. We recommend to our family and friends back in Adelaide and would go back again next year to enjoy a longer visit. Thank you to Agoda for a reasonably priced accommodation and ticket to Sea World package - we would definitely book with Agoda again. Excellent rooms and service. We had a hire car so didn't need to worry about transport. The kids spent a lot of time in the warm spa however the pool water was very cold and it was windy. the night light show was fantastic but very cold for kids and adults. A clear plastic wind break and some outdoor heaters will better utilise a fantastic outdoor facility.